A recent research summary paper by Khan et al., (2015) reviewed the feeding and management during the transition from milk to solid feed in rumen development and fermentation and calf growth. This review identified that calves offered water pre-weaning grow faster. 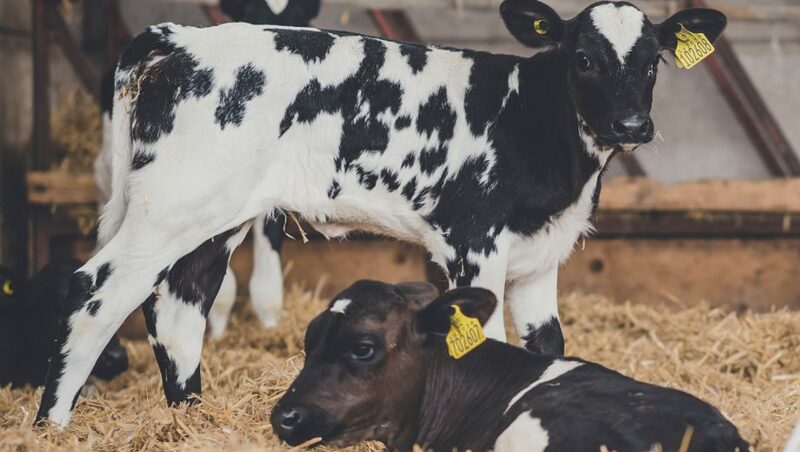 Furthermore, calves offered the right forage pre-weaning eat more concentrate and have increased dry matter intake, thus an easier transition from milk to solid feed, causing less of a weaning check. The reasoning behind this is not entirely clear. However, the forage must be chopped (ideally to 1cm) and provided beside water and calf feed. It is thought that the “scratch factor” caused by the forage helps to maintain the absorption efficiency of the rumen papillae. The preferred forage is straw, ideally not hay and definitely not silage. Straw achieved more consistent and faster growth rates as the preferred long fibre when offered in racks and/or as bedding. This is because straw intakes are self-limited thus concentrate intakes are maximised, therefore, improving growth rates because calves are very efficient at converting feed into live weight at this point. Nonetheless, in the calf starter concentrate a careful balance needs to be reached with the starch and digestible fibre, bearing in mind a calf’s rumen at birth are physically and metabolically immature. For example, a balance between stimulating rumen development which has been identified to be correlated to the volatile fatty acid butyrate production therefore higher levels of starch are required, however, it is important to avoid sub clinical rumen acidosis later on in life through providing too much starch and inadequate digestible fibre levels. This is clearly a balancing act but our calf starter feeds are formulated with this in mind, to get your calf off to the best possible start in life. For more information please contact your local representative or phone the office on 01270 782222.